A lot of women can attest to the saying “one can never have too many lipsticks” – collect and select is just the right way to go! The beauty of lipsticks is that there’s a wide range of colors and types to choose from – you really can’t have just one! 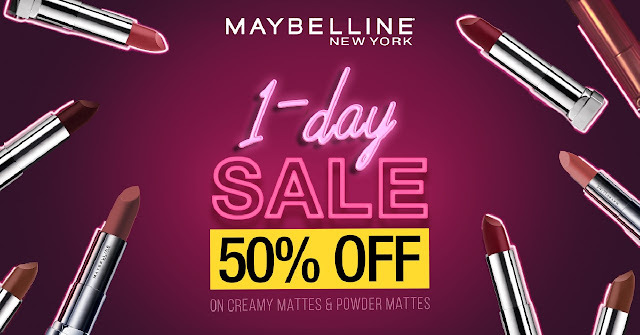 If you agree with us, then watch out for Maybelline’s colorful treat that lipstick lovers like you won’t be able to resist – The National Lipstick Sale! Mark your calendars, because on July 28, 2018 Maybelline is offering 50% OFF on its bestselling Color Sensational lipsticks – The Creamy Mattes and The Powder Mattes. 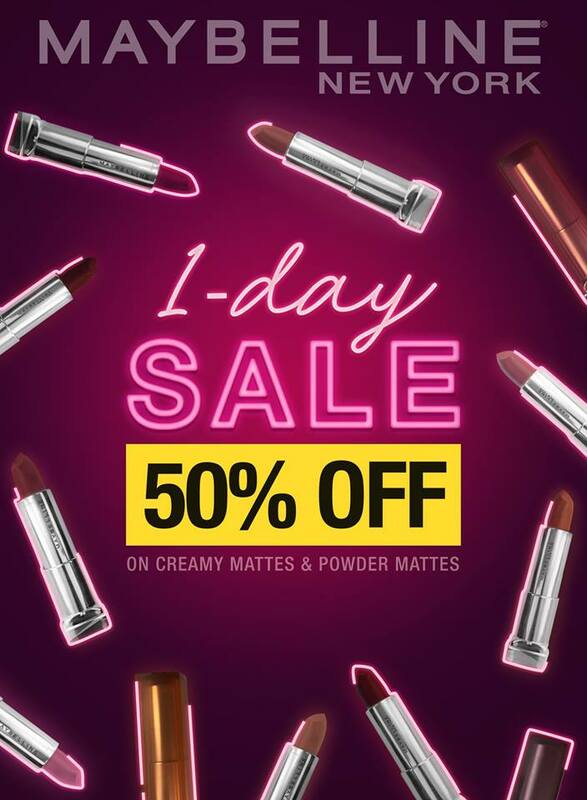 Yes, that’s right, for one day only, you can get these moisturizing and lightweight matte lippies for only half the price – that’s P149.50 each! What’s more, from July 27 to 29, 2018, women everywhere can enjoy P50 off on all 20 shades of Superstay Matte Inks, including the newest Un-Nudes Collection. That means you can get these highly-reviewed, super long-wearing matte liquid lipsticks for only P249 a piece! This July has a very attractive lipstick discount up to 50%, I will take advantage of this opportunity to buy yourself a lipstick.